As a teacher, have you ever sat there and looked at a test and wondered- “what are they thinking”? Formative gives me a window into that mysterious world. I teach science and each skill comes with pitfalls, common misunderstandings which we all have to work out to become masters. It doesn’t matter what skill (hitting a ball with a racquet or balancing an equation), all require practice to undo the inherent error we have in our initial approaches. The difference is when we play tennis, we can see what happens when we whack a ball with a racquet. The angle of the hit is too high or too low. The follow through is there or is not. The grip is strong or weak. We can see the errors and coach the hitter through them. With scientific concepts and thinking we cannot see those errors until the end result. It would be like coaching the player by only watching the other side of the court and seeing where the ball landed. You would have to guess at the why and keep trying until the ball started to land in the right spot. That takes a ton of patience by both the player and the coach and is how many of us taught for years. Formative gives me the tool to start looking at those foundational errors, and fixing them at the time the students are first learning a concept and making those errors. As a teacher, I can finally see the ball being hit! How does this play out on a Formative? I generally ask questions that elicit mistaken responses. If you teach a subject long enough, you know what kinds of questions students are going to miss often. To break down the misconceptions, you have to have students identify what they know and what they DO NOT know. Just looking from a bit of a dated but good source, in Science Teaching Reconsidered: A Handbook, the Committee on Undergraduate Science Education, National Research Council suggests that students confront their misconceptions. Teachers pointing out misconceptions can be a struggle and cause conflicts - unless there is a clear, neutral third party involved. Formative can be that third party. For example, I could give this problem to see how students interpret it: Draw a sealed flask containing a gas. Draw the same flask after half the gas has been removed. I already have an idea that most of the class is going to draw particles floating around in the first diagram and some are going to draw the second drawing incorrectly. The correct drawing should show half the particles evenly spread out throughout the container. Some will incorrectly show a container half full, some will show similar amounts of particles. Where Formative really helps with this is follow-up, feedback, and reflection. After helping students identify how different properties of gases (which nearly everyone can do) I have students revisit their diagrams and in some cases, redraw. The beauty is, with Formative, I can comment as they are drawing (does this follow what you said about kinetic molecular theory - that all these molecules are in motion?) and make students THINK about their diagrams, connecting the synapses for definitions with the synapses with visualization. Looking at the data for question 26, it is one of the MOST missed interpretations of the unit. The next question (about a basic color) is one of the higher initial scores, so I don’t have to spend as much time reviewing basic color recognition - most get it. Formative allows for me to use this methodology. 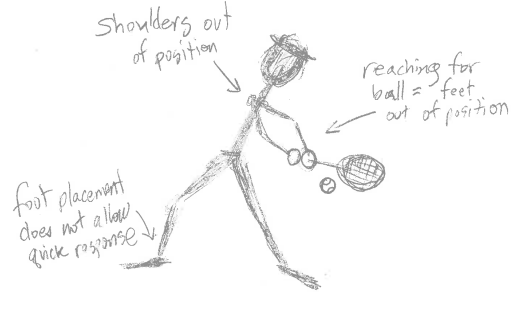 I can gather and see live responses (tapping into their thinking/watching them hit the ball) and intervene (help them make new mental connections/before the ball hits the other side of the court). Formative empowers students to experience their weakest understandings/misconceptions and turn them into strengths.